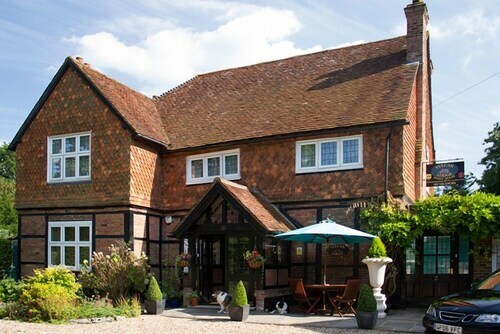 Situated in Horley, this bed & breakfast is 2.6 mi (4.1 km) from Manor Royal Business Park and 3 mi (4.8 km) from Gatwick Aviation Museum. Crawley Town Hall and Effingham Park Golf Course are also within 6 miles (10 km). Horley Station is 7 minutes by foot and Gatwick Express Station is 24 minutes. This smoke-free bed & breakfast features free self-parking and free WiFi in public areas. All 4 rooms offer free WiFi, DVD players and digital TV. Other amenities available to guests include coffee/tea makers, free bottled water and hairdryers. Public areas are equipped with complimentary wireless Internet access. Limited complimentary on-site parking is available on a first-come, first-served basis. Vulcan Lodge Guest House is a smoke-free property. Start your morning with a full breakfast, available each day from 8 AM to 9 AM for a surcharge.